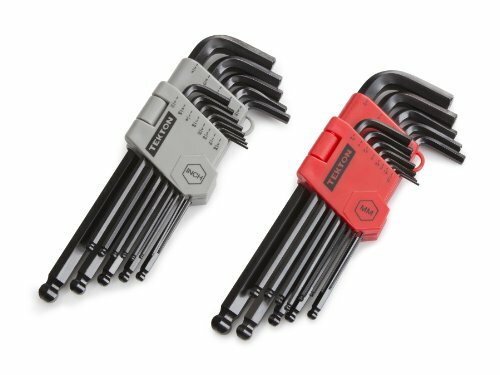 Hex keys, more commonly known as Allen wrenches are an essential part of any tool kit, and the best allen wrench set will closely match the application you use it for. Whether you’re doing automotive work or building electronics, working in heavy industry or putting together an Ikea bookcase, select a set that has the most commonly used sizes you require, including metric sizes. Comfort, strength and utility are the keys to getting excellent hex keys and at least one of the top rated picks offered here will be exactly what you’re looking for in both performance and design. One of the best hex key sets available at any price, the Bondhus BriteGuard and Gold Finish 22-piece kit offers a number of innovations that make them easier and more dependable. The tempered steel is a big plus, allowing you to use more torque without twisting or breaking your wrenches, and forged to resist rounding and stripping. The patented ball drive means you reach into small spaces that are impossible for traditional L-shaped wrenches and having individual colors for the metric and SAE sizes makes it easy to find the tool you need — even smaller wrenches that don’t have a size printed on the shaft. 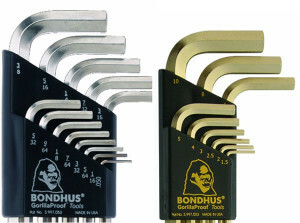 There is very little to complain about with a set of Bondhus Ball End hex keys. If you were hard pressed to find something, the plastic case could be spruced up a little to provide a better fit for the wrenches and longer use life, but the tools themselves are manufactured using processes that exceed standards so you won’t find any problems when the work begins. This set is hard to beat for the money and will make you want to simply throw away the cheap allen wrenches that came with your first mechanics tool set. The Tekton 25282 ball end 26-piece set allows you to pivot the working end up to 25 degrees to reach places that old-school tools have trouble getting to. The durable black-oxide finish covers a patented chrome vanadium steel alloy that reduces head wear and prevents bending or breaking. But the feature which makes the Tekton kit one of the top allen wrench sets is the extra long arm for deeper reach and even more torque. The case these fine wrenches come in is not sturdy enough for heavy use, but it works well for occasional use and long-term storage, and it even opens flat for easy access to the tools. Like other Tekton tools, this set is an excellent value. 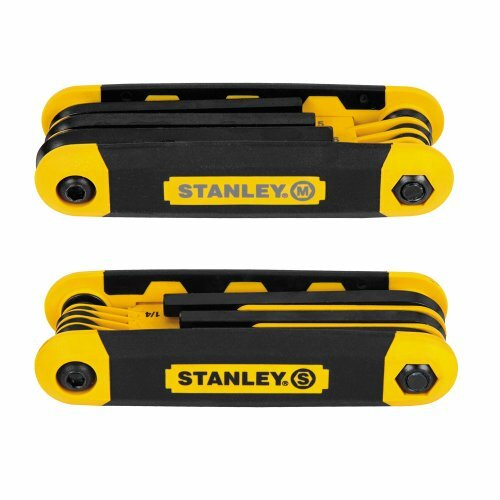 For occasional and medium use, the Stanley folding hex 17-piece wrench set gives you the convenience of easy storage and the professionalism of including both SAE and Metric sizes which meets ANSI tools specifications. 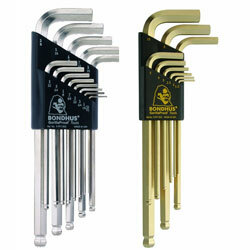 These wrenches will not take the kind of abuse you can get from some other top ranked allen wrenches, but they make up for it by offering a lower cost alternative for people who only use allen wrench sets occasionally. The binding mechanism has a tendency to work loose, but you can tighten it with easily using an allen wrench from the opposing set (SAE tightens the metric set and vice versa).